Senators winger Marian Gaborik was widely expected to be bought out this summer but he wasn’t in June during the buyout window nor was he released during the post-arbitration window either. GM Pierre Dorion told reporters, including Postmedia’s Bruce Garrioch, that the veteran has not yet received medical clearance after undergoing surgery to repair a herniated disc late last season. He’s not expected to be with the team at the start of training camp as he is currently in Los Angeles visiting with a back specialist. Dorion even acknowledged that there’s a chance that he may not play at all in 2018-19 which means the majority of his $4.875MM salary would be covered by insurance. Ducks winger Nick Ritchie has somewhat flown under the radar compared to some of the more notable remaining restricted free agents. In an interview on Sportsnet 650 (audio link), Sportsnet’s Elliotte Friedman reports that it has been a “tough negotiation” between him and Anaheim thus far. Ritchie was the tenth overall pick back in 2014 but has yet to make a significant impact offensively. Last season, he had just 10 goals and 17 assists in 76 games while averaging just over 13 minutes of playing time per night. Unlike some of the more prominent remaining RFAs, the 22-year-old is almost certainly heading for a bridge contract. The Sharks have had discussions regarding a potential contract extension with center Joe Pavelski, GM Doug Wilson told Kevin Kurz of The Athletic (subscription required). The 34-year-old has seen his point production drop in each of the last two years but he still put up a solid 66 points (22-44-66) in 82 games last season. Pavelski has also been quite durable, missing just one game over the last five years which should help bolster his case for a new deal. He’s slated to earn $6MM in 2018-19 and should be in line for a small raise on his next contract. The Ottawa Senators are a team in trouble. The Senators finished with a 28-43-11 record last season for a total of 67 points, second-lowest in the NHL. The team also placed close to the bottom in both goals for and goals against, which combined for a the league’s second-worst goal differential of -70. Ottawa dealt with a public relations nightmare this summer surrounding Mike Hoffman and ended up having to deal the dependable scorer away for pennies on the dollar. They have thus far failed to add any difference-makers via trade or free agency this off-season as well. On top of that, owner Eugene Melnyk is reportedly hemorrhaging money and appears to have a singular focus of spending as little as possible this season. That task is made difficult by a roster that features overpaid, ineffective veterans such as Bobby Ryan, Marian Gaborik, and Mikkel Boedker and a 37-year-old goalie coming off the worst season of his career in Craig Anderson. The Senators are the popular pick to be the worst team in the NHL in 2018-19, but even that has no silver lining, as the Colorado Avalanche own Ottawa’s first-round pick, potentially the first overall pick in next year’s draft. It almost seems like so much is going wrong in Ottawa that things can only get better. Unfortunately, that is simply not the case. Early in this off-season, the Senators made a contract extension offer to all-world defenseman Erik Karlsson, who is slated for free agency next summer. When Karlsson dismissed this initial offer, the team made it know that they were open to trading the face of the franchise. Just this week, the team was unable to come to terms on a long-term extension with top scorer Mark Stone, instead signing him to a one-year deal that will make him an unrestricted free agent after the season, where he will potentially be the biggest available name behind Karlsson. Perhaps the biggest bargain on the team, Ryan Dzingel’s team-friendly contract runs out after next season and the young forward will want a significant raise, even if that means it doesn’t come from the penny-pinching Senators. 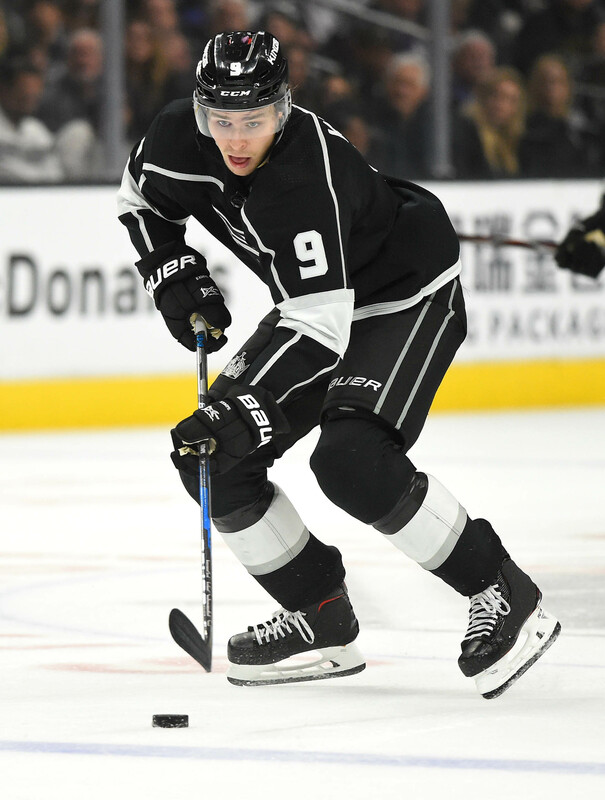 Finally, Matt Duchene, who Ottawa gave up substantial trade capital to acquire early last season – when their future looked much brighter – is also entering the final year of his contract and may not want to stick around any longer in Ottawa after the team fell apart soon after his acquisition. With Hoffman and Derick Brassard already gone, the Senators face a very real possibility that they will begin the 2019-20 season without all of their top six scorers from the 2017-18 season (make that top seven if they succeed in trading Ryan). Between the value each would have on the open market prompting them to test the waters and the mounting pressure on the team to trade them during what will almost certainly be another season of struggles, the odds of each of them returning is slim. If the team was second-worst last year, did nothing to improve this off-season, and doesn’t have the pick that could otherwise land them a franchise cornerstone in next year’s draft, it is scary to think about how much worse things could get in Ottawa if all four of these prominent free agents depart. This begs the question: how many of Karlsson, Stone, Dzingel, and Duchene will still be Senators this time next year? While there was some speculation that Detroit’s top pick at the draft, winger Filip Zadina, was eligible to play in the AHL next season, notes Helene St. James of the Detroit Free Press. It was originally believed that Zadina was on loan to Halifax of the QMJHL which would have made him eligible to play in the minors. However, that does not appear to be the case which makes him subject to the usual rules for CHL draftees that restricts him from going to the AHL until he turns 20. Naturally, the Red Wings are hopeful that this is all for naught and that he makes the team in a full-time role in training camp. If that doesn’t happen, however, then he’ll be heading back to the Mooseheads. In his latest 31 Thoughts podcast (audio link), Sportsnet’s Elliotte Friedman links the Red Wings as a team that has shown interest in Hurricanes defenseman Justin Faulk. Detroit is certainly in need of some more skill on their back end while Faulk has become an even likelier candidate to be moved following Carolina’s acquisition of Dougie Hamilton back at the draft. Blue Jackets defenseman Ryan Murray was one of the few arbitration-eligible players who opted not to file for salary arbitration. Aaron Portzline of The Athletic reports (Twitter link) that there haven’t been any contract discussions with the 24-year-old. While his decision not to file leaves him open for an offer sheet, that’s still a very unlikely scenario given how few of those get handed out. Part of the reason the Senators didn’t buy out winger Marian Gaborik during the first window last month is that he has yet to be declared fully recovered from his back injury, reports Postmedia’s Bruce Garrioch. However, Ottawa will have another window to do so later this summer thanks to defenceman Cody Ceci and winger Mark Stone filing for arbitration. The window will open up for 48 hours once both players have signed. Technically speaking, Senators winger Marian Gaborik was the centerpiece of the return the Senators received when they dealt defenseman Dion Phaneuf to the Kings back in February. Of course, he wasn’t a typical centerpiece in that he was acquired strictly for financial reasons, not because they actually wanted to acquire him. As a result, even though they just got him, he could very well be sent packing by Ottawa over the next two weeks. It has been a rather drastic fall from grace for the 36-year-old in recent seasons. 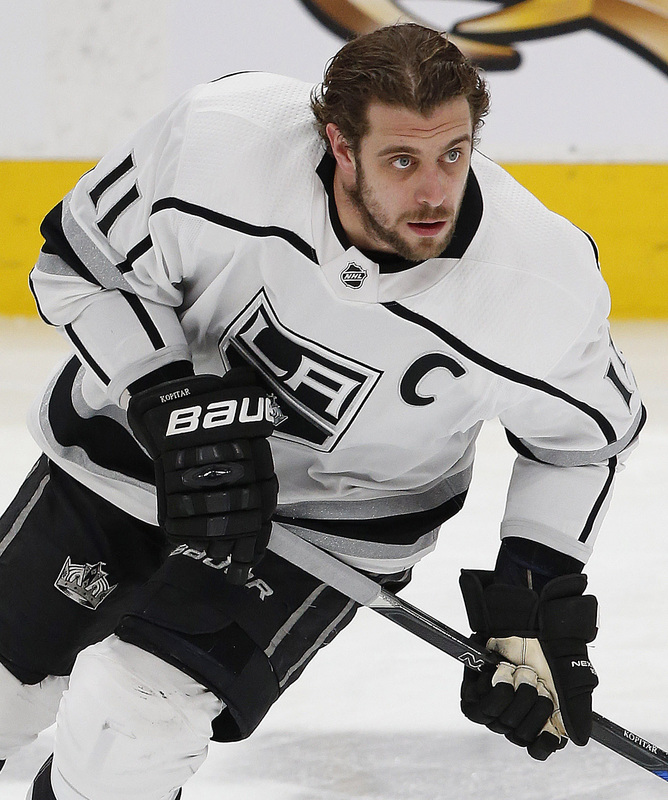 After he played a key role in the Kings winning the Stanley Cup in 2014, Los Angeles signed him to a front-loaded seven-year contract, one that looked bad right at the start. Since then, Gaborik has yet to play in 70 games in a single season and this past year spent a lot of time as a healthy scratch although he did fare a little better with Ottawa after the trade. However, a part-time player that puts up around 20 points a year isn’t worth $4.875MM on the cap let alone for three more years which is how much time is left on his contract. Because of the way the deal is structured, the sum of the combined cap hits over the next six years will actually exceed the salary that he’s owed over that time. That would be a concern for some teams but the budget-conscious Senators aren’t one of those. From the minute this trade was done, it looked like the sole motivation was getting out of as much of Phaneuf’s longer-termed contract as possible and that Gaborik was merely a sunk cost to accomplish that. A buyout would represent lowering that sunk cost by just over $3.6MM (one-third of his remaining salary) of real money which to them matters a lot. Theoretically, Ottawa could wait a year to see if Gaborik could build on his late showing and have a good full season to see if there is any trade potential down the road and if not, buy him out in the summer of 2019. However, because 2018-19 is the highest remaining salary of the remaining three years of the contract, their financial savings will wind up being about $1.5MM less if they went that route. Realistically, they can find someone in free agency that can put up the 21 points that Gaborik has averaged over the past three years for that price or less so they may as well bite the bullet now if the plan is to buy him out before his contract expires. Assuming this is the route that gets taken which seems inevitable at this point, it will be quite the precipitous drop for a player who was once regarded as one of the premier scorers in the league. It will also look less than ideal for the Senators who will wind up effectively paying more than $11MM (Gaborik’s buyout cost in terms of real dollars plus what they are covering on Phaneuf’s contract as part of the trade) for the blueliner to not play for them. That’s not a pretty picture no matter how one tries to paint it. In his season-ending press conference, Ottawa Senators GM Pierre Dorion discussed several topics including the future of head coach Guy Boucher—which will be determined after the draft lottery—the decision to keep their 2018 draft pick, and the option of buyouts to help their cap situation this summer. On buyouts, Dorion admitted that they had discussed the possibility with several players during their exit interviews. While he wouldn’t reveal exactly who those players were, one has to assume that Bobby Ryan and Marian Gaborik were among them. The pair are under contract for more than $12MM combined for the next three seasons (with Ryan extended even a year past that) but haven’t been able to live up to their previous career success. With the team needing salary and cap space for not only Erik Karlsson’s potential mega-deal, but extensions for Matt Duchene and Mark Stone, buyouts could be an attractive option. Ryan, 31, scored just 33 points this season and played just 62 games while dealing with several injuries. His 11 goals was the lowest of his career in a full-length season, and his play doesn’t seem like it will ever return to the 30-goal man of his youth. If a buyout were used however, it would be quite a financial commitment by the Senators. Since signing bonuses are paid out regardless of a buyout, Ryan would be in line to collect more than $22.6MM of the remaining $30MM on his contract. Paying out that much for someone to not play for your team is something that the richer teams in the league can do, but Ottawa has never been one to hand out money.